If someone in the Mafia runs afoul of other members of the Mafia are we feel to great sympathy? No. They know, or should have known, what they were getting into. Indeed, JWR maintains the Omertà. The moral and lawful course of action would have been to resign and go directly to the RCMP. We are not with her. We are with the Revolution that will sweep away the ultra-corrupt Liberal Party of Canada. Yeah, I also find it curious that she agreed to stay in cabinet. That aside, as regards the DPP, Roussel is bang on. I hope she takes them to the cleaners. I don’t see how a FCC judgment could come out otherwise. Any PMO action absolutely kills the minister’s oversight discretion. I do relish the payback she’s managed to give the PMO for unfairly demoting her but must agree, if this is as egregious an offence as it appears to be then she’s kind of looking shifty at best for not resigning and speaking up about it. .. 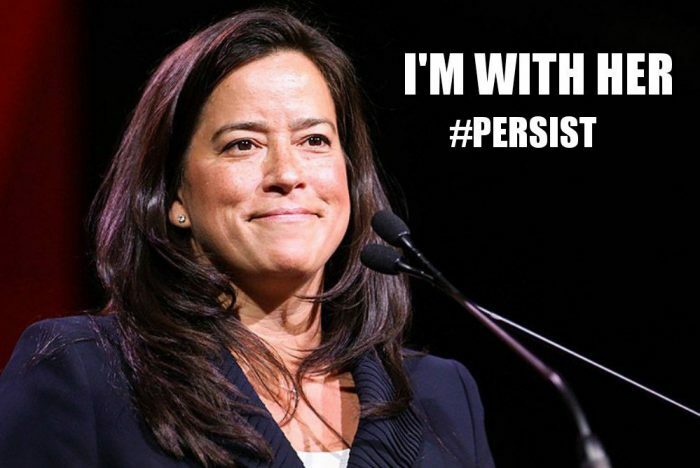 I sent a key link to Warren Kinsella in comments to other posts of his.. the report by Forcese makes clear that Ms Wilson-Raybould clearly upheld the complex latter of the law regarding her dual roles as Attorney General and Minister of Justice. The problem currently, aside from the hysterical shrieking of Andrew Scheer & his whiny ‘demand’ letter to Trudeau, MainMedia (hysterical CTV – Evan Solomen panel with clairvoyent Mulcair) seems to be rooted in the Globe and Mail ‘report’ ..
Craig Forcese shredded their careless mix of ‘wordology’ .. ‘urged’ ‘attempted to press’ ‘heavy pressure’ etc etc. My bet is Trudeau et al.. refuse to be intimidated.. Last i looked, she was still in Cabinet in a critical Ministry.. why would she take any lip.. ? Or be cowed or bullied ? Hardly her way of being.. and as said, she did exactly the right thing..
You lost me at “the hysterical shrieking of Andrew Scheer”, sorry.